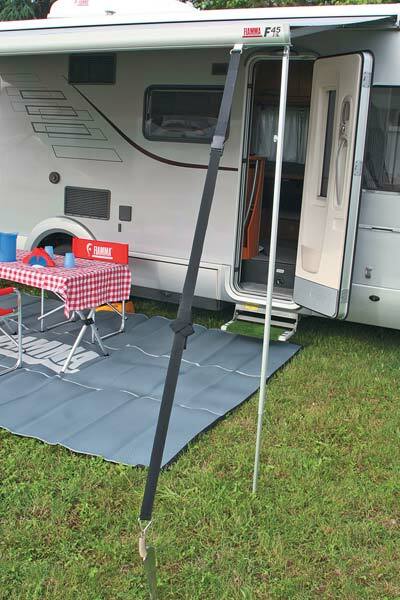 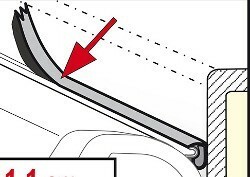 The Fiamma Tie Down S allows for solid anchoring of the Fiamma motorhome and caravan awnings by sliding directly into the front leading bar of the awning. 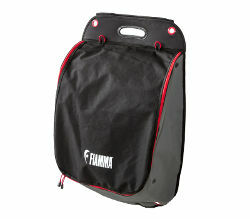 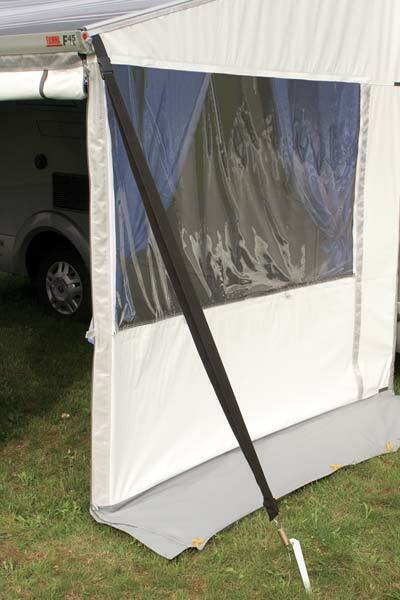 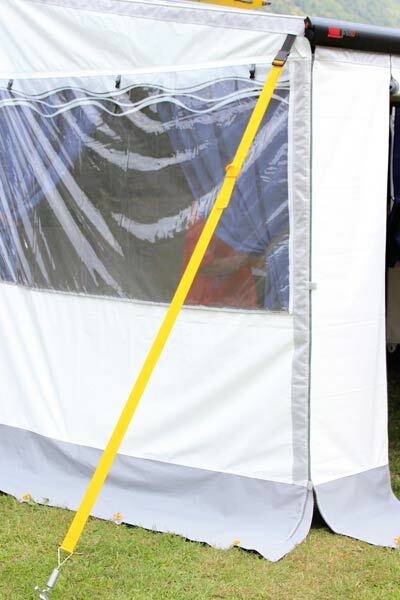 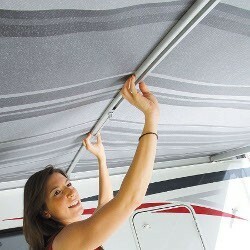 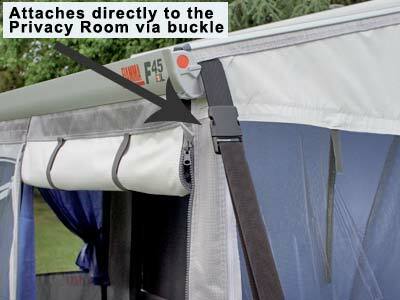 The Fiamma Tie Down S may also be used with any Fiamma Privacy Room from version 2009, by way of buckle that attached to the Privacy side panel. 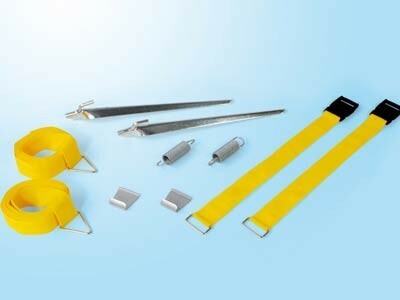 Composed of 2 adjustable bands 300 cm long, 2 stakes and 2 tension springs. 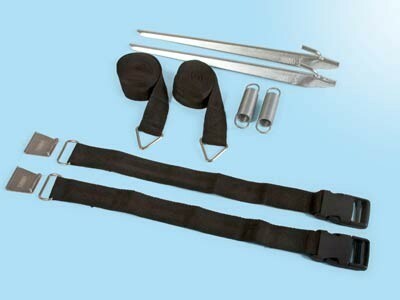 Attaches to lead bar and Privacy Room from version 2009.